The Egyptian Fruit bat has a fox-like face, small ears and a wingspan of 485-640 mm. Typically, its tail membrane is short and its fur is light brown. A cave-dwelling bat, this species can be found in the subtropical Mediterranean and roosts in large colonies (up to 3 000). It forages in orchards and feeds on fruits such as dates, figs and peaches, as well as flowers and leaves. Despite using their sight and developed sense of smell to locate food, Egyptian Fruit bats can also echolocate and fly in the dark. Their metallic squeaks are audible. It is important to highlight that frugivorous species, such as this one, pollinate and disperse seeds of economically important plants. While local migrations have been recorded, it is unknown whether long distance migrations are undertaken by this species. 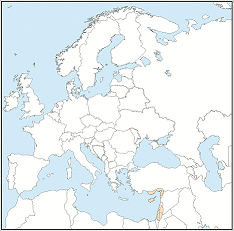 Distributed throughout Africa south of the Sahara, Egypt, Cyprus, the south coast of Turkey, the Near East and the boundary regions of the Arabian Peninsula to Pakistan and northwest India. 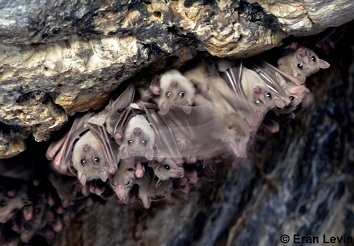 Egyptian Fruit bats are regarded as a pest by fruit farmers and are often targets of poisoning attempts.